Did cold & flu cause congestion & hinder your breathing? Don’t let flu season hold you back and take control of your day. For a limited time, receive 10 Packets of Aero® for $4.95 + Free Shipping. 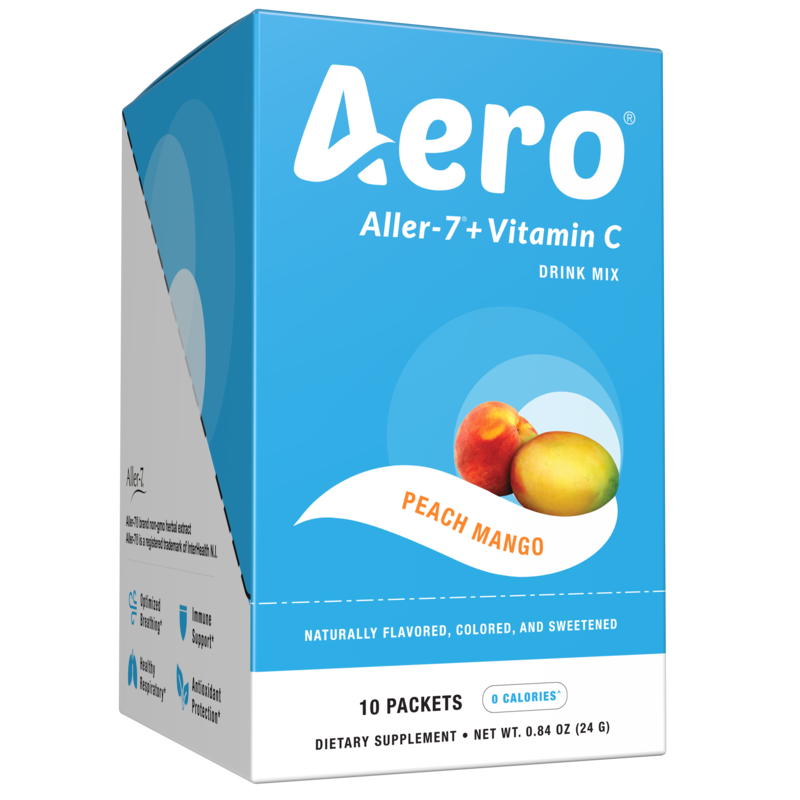 You will receive the same 10 Pack of Aero® that we sell for $12.95. Qualifying customers are new Aero® customers residing in the United States only. "I'm amazed on how fast this solution works. Literally, drink and feel the benefits within minutes. It doesn't leave you with that groggy feeling and the drink mix tastes amazing"
"I'm not of fan of swallowing pills. I'm used to taking pre-workout powders, so a drink mix solution was right on the money for what I need. The strawberry kiwi is something I can drink every day for pleasure, it's that good"
"I unfortunately suffer with allergies almost year-round. It can be a pain to deal with and I've tried so many remedies, but most of them are synthetic and leave you with a weird feeling. As soon as I discovered a natural option, I jumped all over it and couldn't be happier with the results."